The traditional German pictorial style is difficult to emulate however the exceptional skill of our painters and designers has allowed our studio to master that style. Modern style windows with their vibrant colors and emphasis on line and shape can provide the perfect meditative focal point for any worship space. A beautiful glass art option for interior frames. The art in etched glass is visible even in low light. 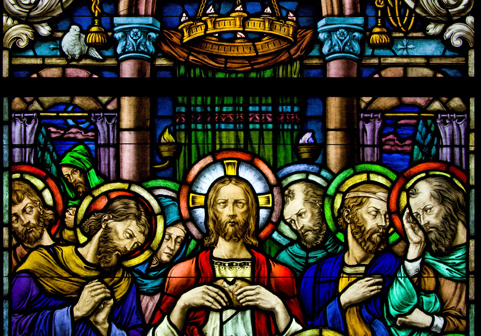 Mosaics are an excellent way to display religious art in both interior and exterior settings. Our artisans have the skill to revitalize old and damaged stained glass windows whether it's repainting to match an old style, reconstruction of a whole window, or even welding steel frames. This process involves adapting preexisting windows for new frames. The example to the left shows a window that was converted from a round roman arch to a gothic peak. 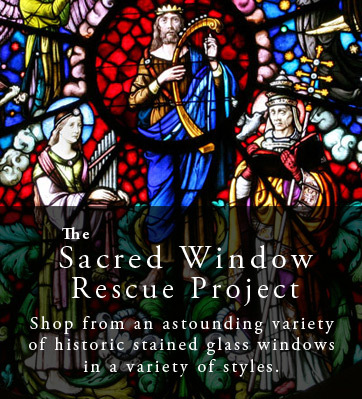 Start your search for antique and historic windows at The Sacred Window Rescue Project website by clicking the above link. We design and fabricate wooden frames and lightboxes to match any religious facility's style. The Cathedral of the Holy Name of Jesus is a new cathedral being built in Raleigh, NC. The new blog will feature posts from us documenting the restoration process as well as background information on the windows. Read it here. 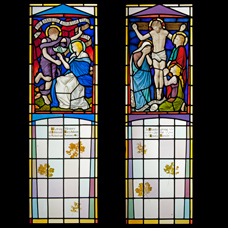 The Sacred Window Rescue Project aims to find permanent homes for disused antique and historical stained glass. 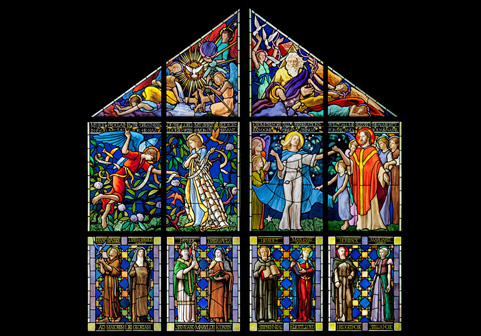 The new website features an extensive catalog of windows in a variety of styles. 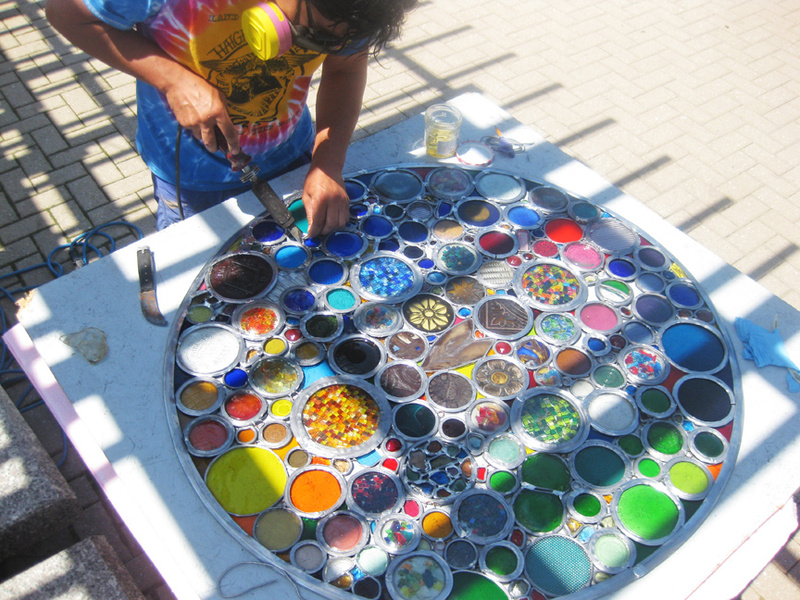 Justin Tyner, glass artist and craftsman at the Beyer Studio, recently unveiled his newest creation at a Philadelphia Art in the Open event: a giant stained glass kaleidoscope with a 44 inch spinning rose window made from recycled broken bottle bottoms and historic stained glass remnants. 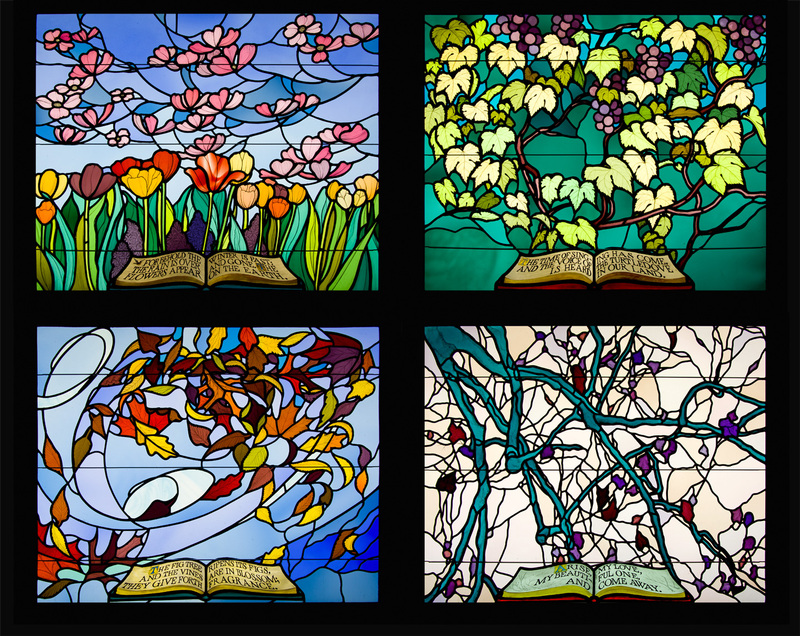 For the first time, we are reproducing stained glass for private home use. For years we have been aware of the frustration of collectors who desire to own these rare works. We are pleased to introduce the first piece of a series, reproducing for the public the quality of skill and material normally reserved for churches. 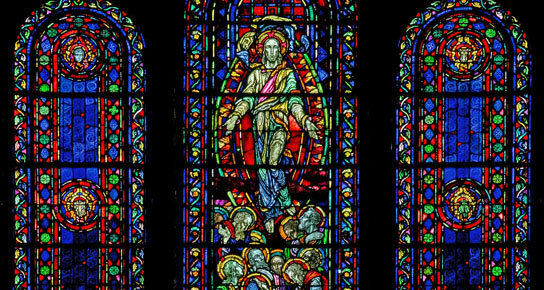 Washington Memorial Stained Glass, Discovering the origins of the glass.